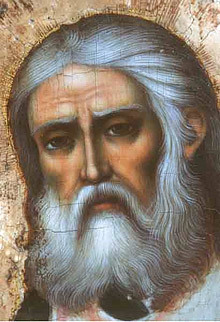 Tomorrow, 11 December, Russian Orthodox Church commemorates Holy Hieromartyr Seraphim (Chichagov) of Petrograd. To honor his memory, we offer you an excerpt from Fr. Yves Dubois’ sermon on this not very known, but yet great saint, originally published on Ancient Faith Radio. 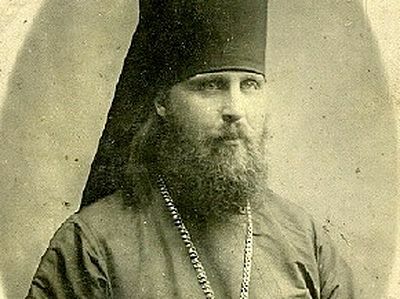 Leonid Chichagov born in 1856 and martyred in 1937 was born 25 years after the death of St Seraphim of Sarov who was the most important influence on his life. The orphan son of a builder, St Seraphim of Sarov was raised by an energetic and warmhearted mother who took on and looked after many orphan girls. 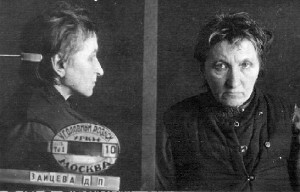 This motherly care of orphan girls was to be the model for St Seraphim’s dealings with the convent he guided from a distance for much of his life. From his childhood till his death St Seraphim was the beloved of the Mother of God who appear to him 12 times and healed him several times. For many years he lived by himself in a tiny hermitage in the deep forest. For 1000 days and nights he prayed kneeling on a stone. He saw almost no one. If people came he would hide in the tall grass. Almost beaten to death by thieves, he made sure they were pardoned. This most humble and sober saint was unusually aware of the closeness of Paradise. In his old age he was seen transfigured like Christ on Mount Thabor shining with a light brighter than the sun. He has left important teachings saying that the goal of human life is to acquire the Holy Spirit. The Holy Spirit is received in exchange for good deeds done for the love of Christ. Prayer and kind actions are the means by which we make it possible for the Holy Spirit to come and abide in us. St Seraphim is a sure guide in Orthodoxy, and many of his disciples, all of them women, have been glorified as saints by the Orthodox Church. I shall come back later to the role of St Seraphim in the life of Leonid Chichagov. The second influence on him was St John of Kronstadt, his confessor for 30 years. Together with St Seraphim, St John of Kronstadt is known as one of the two greatest pillars of Orthodox holiness in the last two centuries. 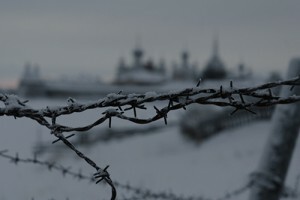 A married parish priest in the military harbour of St Petersburg, St John of Kronstadt healed thousands of people by his prayers, converted vast numbers of lapsed Christians and warned his country about the imminent catastrophe and long period of terror. 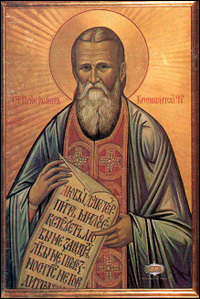 God worked mightily through the faith and prayer of St John of Kronstadt because his soul was nourished daily by the Bible and the Divine Liturgy. He said he had to celebrate the Liturgy every single day, otherwise he would not be able to breathe, he would choke to death. St John of Kronstadt is one of the most powerful examples of Christian life we can meet. 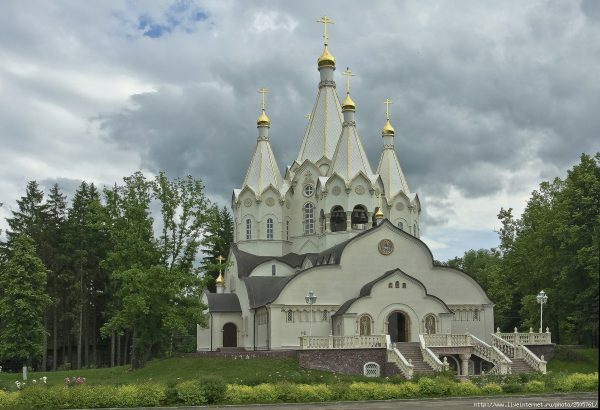 The third saint who was close to Leonid Chichagov was Patriarch Tikhon who had been Orthodox Archbishop of New York before he guided the Russian Church during the first eight years of Communist persecution. While in America he asked Isabel Hapgood to translate the main services of our church into English and her book is still in use. At is Cathedral in New York, he served in English every other week. He is the pioneer of English language Orthodoxy. 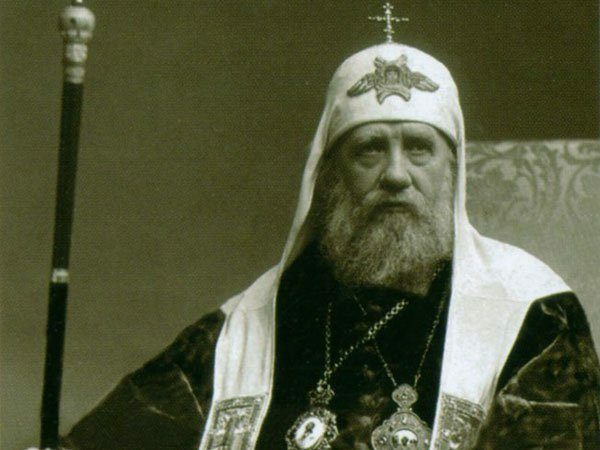 Wise, gentle and firm, he defeated the Soviet government’s attempt to set up a pseudo-church: the people remained faithful to the Patriarch whom they trusted. The fourth saint who was close to both Patriarch Tikhon and Leonid Chichagov, Ilarion Troitsky, Abbot then Archbishop, was a brilliant young theologian and a powerful orator who convinced the Council of 1917 to elect Patriarch Tikhon. His teaching was that Orthodoxy is a community held together by the Holy Spirit, not just a set of notions about God. What matters for the Christian life is the fullness of the Church’s life, a real community of love. The Christian life cannot be fully contained in books but only in a living community. St. Ilarion Troitsky was martyred in 1929 at the age of 42 in Leningrad. 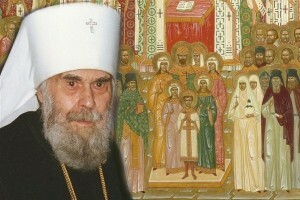 Leonid Chichagov organised a magnificent funeral for him. For great saints surrounded Leonid Chichagov. Let us now look at his own life which started brilliantly: a happy marriage and a successful career in the Army. At 34 he was already a colonel. He had taken part in a battle and had seen the appalling lack of appropriate medical care for the wounded on the battlefield. 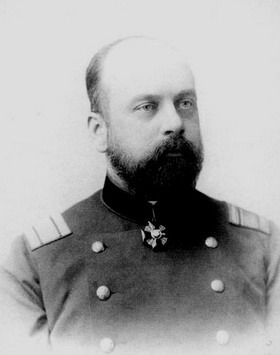 He took some courses in medicine and wrote two books on what should be provided medically on battlefields. Those books are still in print. At 34 he left the Army, trained for the priesthood and was ordained three years later. Steadily for nearly half a century, from the day he became a priest, he began to share Christ’s descent into tragedy, rejection, suffering and death for the redemption of the world. His first task as a priest was to rebuild a ruined church with no congregation and no money. Nine months later the church was built and had a congregation, but his wife was ill and soon died. At the age of 40 he became a monk. From that time he was no longer known as Leonid but as Seraphim Chichagov after the saint of Sarov. He became a historian, sifted fax from legends about St Seraphim and wrote two volumes about him which reveal the nature of Orthodox holiness. He rebuilt monasteries, renovated their communities and many monks were jealous of him. 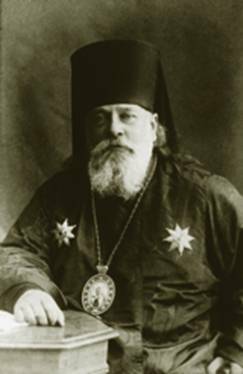 He was made a Bishop not long before the Russian Revolution and had difficulties with anti-Church people in the civil service. Then the revolution came. He was jailed for two years. Released, the Patriarch appointed him as Metropolitan of Leningrad. His health declined. He witnessed the barbaric bloodbath which engulfed Russia under Stalin. He saw churches desecrated and destroyed, often by people who had previously worked for the Orthodox Church. 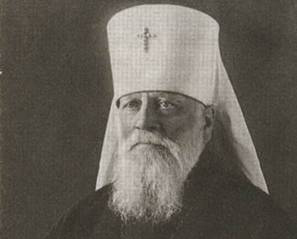 Metropolitan Seraphim (Chichagov) on the eve of the execution. The enemy, the persecutors, were former Orthodox Christians turned atheists. He did not know during his earthly life that the persecution would ever end, and yet the certainty of his faith and the vigour of his prayer were never damaged. Ill and worn out at 75 he retired and went to live in the small house assigned to the Metropolitan Sergius who was head of the Russian Church at that time. Every humiliation was inflicted on the old bishops. 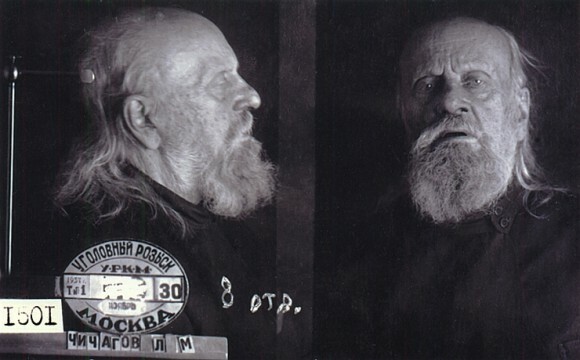 At 81, bedridden and gravely ill he was dragged to prison, given a summary trial then shot at Butovo in the south of Moscow, where the Soviet authorities had 500 people shot daily for 30 years. At the time of his martyrdom, since Seraphim Chichagov did not know that less than 60 years later the churches would be rebuilt and that the place of his execution will be marked by a huge church in honour of all the New Martyrs. Since Seraphim Chichagov and all the New Martyrs of the Orthodox Church, pray to God for us. Amen. What Can We Do to Nourish Our Experience of the Transfiguration of Christ?